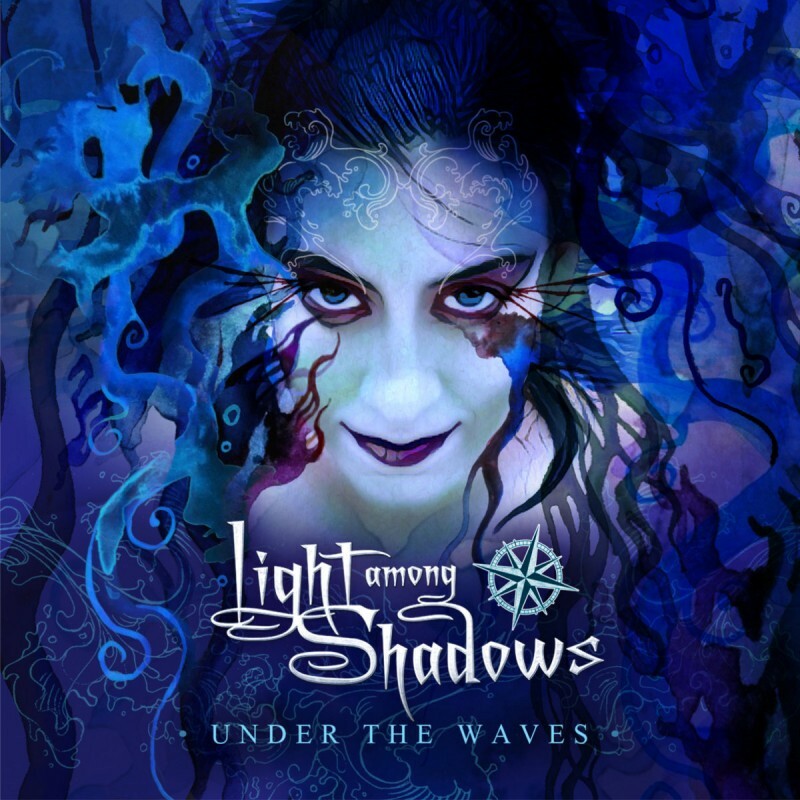 Light Among Shadows are a Spanish band that have already released an EP ('At The Fates Of Dawn') a few years back in 2011 and a full-length album ('Welcome... Back!') in 2012. However, for this new record, 'Under The Waves', there has been a change of personnel as their front-woman has been replaced; Tatjana Klee has now left the band and Maria Barragan has been recruited to replace her on vocals. Due to the fact that their full-length debut 'Welcome... Back!' received a very nice welcome from the media, I would suspect this new record is awaited by a good number of people in the Symphonic Metal world. Firstly, what I can say about this album is that there's been a very good net effort when it comes to the quality and quantity of songs on this new album. Potential listeners will find this album to consist of thirteen songs (including one intro and one interlude) that all exhibit an appreciable diversity of genre, melodies and intensity. 'Under The Waves' opens with an intro that dives us headlong into a world of dark fairy tales and it's a track which reminded me of the opening song of 'Imaginaerum' from Nightwish (before Anette Olzon left the band). Some songs have to be highlighted, such as 'The Loneliest Road', 'A Survivor Is Born', 'Deep Blue Sea' and the very good thirteen minute closer 'Blood And Thunder'. Musically, it is an interesting yet pretty rough offering that is sometimes a bit over-arranged and the band's influences, such as Epica, Nightwish or Evanescence (Barragan has a rather Amy Lee-ish type voice), will be recognised. The album has the potential to be a success in many territories, is very enjoyable and can be listened to several times. However, I would be a bit more critical regarding the lack of originality (it's what I like to call a "safe record" because no major risks have been taken) and Barragan's voice is possibly a bit too weak for me if I am honest. As it's the third record for Light Among Shadows to be released, I expected one with a bit more ambition. That being said, I'll keep an eye on their future albums and should they visit the south of France on tour, I will certainly look to come and support them.